The Blessing of Coverage | Collier Wealth Management, Inc.
For those of you dealing with the challenges of aging parents, or for those of you who do not want to be a burden to your family in your senior years, there are options you may want to consider. Long Term Care is one of the single biggest liabilities we have in this country, and that risk strikes fear in the minds of many due to the unknown costs and ever increasing healthcare expense. What if there were a way to leverage every dollar put towards Long Term Care by a multiple of 3, 4, or 5 times, have no risk of loss, have benefits paid tax free, and have no future increases in the cost of coverage. The evolution of Long Term Care coverage has been significant, and these types of benefits exist. The blessing of my Mom’s coverage has provided her a quality of life that she deserves, and made our family acutely aware of the burdens we can remove from our children. So whether this is a benefit that your parents can afford, or an opportunity for families to consider providing coverage for their parents, it is an act of love and a worthy endeavor. 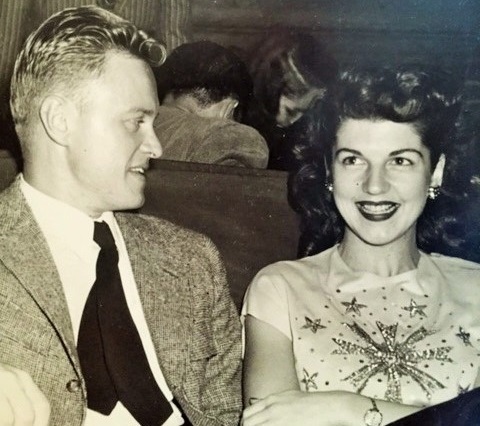 The attached is a picture of my Mom & Dad on one of their first dates in 1944.